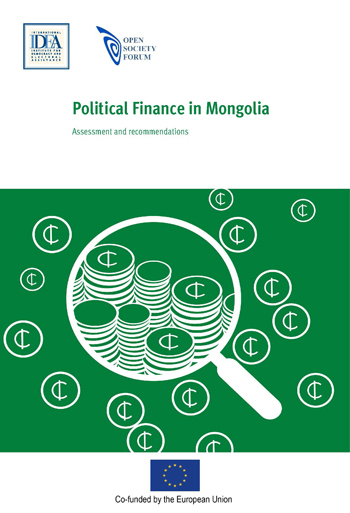 Mongolia’s political finance regulatory framework faces significant challenges. Lack of enforcement, influence of private business interests and various loopholes have eroded people’s confidence in politics and posed obstacles for women and youth to access positions of power and decision making at all levels. This report provides insights into Mongolia’s political system in general, and its political finance legal framework in particular. It describes how candidates and parties receive, use and report on private and public funding, how authorities oversee these financial flows, and how sanctions are imposed to deal with violations. The authors argue that, as part of the current efforts to improve Mongolia’s political system, some reform of the current political finance framework is required. Priority should be given to improving the oversight, disclosure and transparency of political finance information.